Moving to China to teach English as a second language (commonly referred to as ESL) has become a popular career choice. As a beginner, an ESL teacher resume (or CV) can be a challenge to write. In amongst your work experience, skills and educational background, it can be hard to know exactly what China employers want to read. Below are five tips for writing your first ESL teacher resume for China. 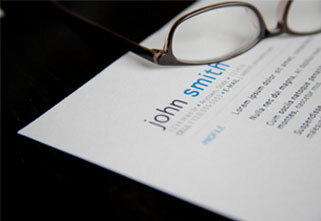 Details like your name, age and date of birth are obviously the first thing you put on any resume. Up-to-date contact details are also necessary, as the employer will need these to get in touch to arrange an interview. Listing your WeChat contact here will, at the very least, show you know how communication works in China. It’s quite common for applicants to put a photograph at the top of their resumes in China. If you choose to do this, make sure it’s a professional-looking headshot and not just a selfie taken in a bar. Proofreading for spelling and grammar mistakes is a must on any resume, but even more so on one of a potential ESL teacher. If the employer spots any mistakes it will reflect rather badly on your ability to do the job! After your basic details, the opening paragraph will be the first thing the employer will read. As such, it needs to be hard hitting, well written and engaging. Don’t simply throw in every bit of work experience you’ve ever done. Instead, include the most important and relevant skills and experience you’ve gained into one concise paragraph of about 100 words. Think about the skills you have that are relevant to the role of an ESL teacher. For instance, if as a newbie teacher you have no classroom experience, write about transferable skills you acquired in other positions (more details on this below). It’s also worth pointing out that the person reading your resume may be a non-native speaker of English. With this in mind, it’s best to keep the language simple and concise. Aside from listing your bachelor’s degree (a minimum requirement for ESL teachers in China), include any ESL-related qualifications you may have obtained. A CELTA, DELTA or any other officially recognised certificate will give candidates an advantage, but so too can unofficial ESL qualifications. Although my TEFL certificate is not officially recognised like the CELTA, it’s accredited by various bodies in the UK. If this is the case for you too, mention these bodies in the detail of your resume. Most TEFL courses have a set number of hours and involve units on grammar, classroom management, business English, teaching young learners and more. If you have no experience, mention as much detail as you can about your education to ensure the employer knows the course gave you a well-rounded set of teaching skills. Proof that you’ve studied ESL teaching methodologies may make up for a lack of teaching experience. Although, as a beginner ESL teacher, you may not have classroom experience, employers may accept transferable skills from other work experience. Here, I can draw on my experience of applying for my first ESL teacher position in China. Although I had no experience of classroom teaching, I did have experience coaching field hockey to 13 and 14 year olds and working at university summer camps. After reading my CV, the recruiter for the position asked about this in the interview, so I told him the skills I’d learnt from these roles were also applicable in the classroom. Let’s say you’re applying to teach young learners and teenagers. Employers will want to know you have had some experience in this area and, as such, the keywords “young learners” and “teenagers” should be included on your resume. Or perhaps you’re applying to teach business English to adults. “Business English” or a similar keyword should be on your ESL resume. Again, although you may not have actual experience of teaching business English to adults, try to show you have acquired transferable skills from other positions. Perhaps you did an internship at a company that helped your understanding of business vocabulary. Note that many China employers and recruiters even use keyword scanning software these days to cherrypick applicants. Moving to China is not only an administrative headache, it also involves adapting to another culture. ESL employers in China will want to see you have at least the potential to do this. After all, regardless of how qualified an applicant may be, employers won’t be interested if they suspect they’ll leave two months into a contract. Express your interest in travel and other cultures on your ESL teacher resume for China. Perhaps you took part in a foreign language exchange during school or studied abroad during university. State any challenges you faced, how you overcame them and how you ultimately loved the experience. The recruiter for my second ESL job devoted a lot of time to this in the interview. That’s because the job was in China’s northwest Xinjiang province, which attracts few foreigners and is populated largely by ethnic minority Uyghurs Muslims. He wanted to be sure that I would be able to adapt to my surroundings and stay for at least that length of my contract. 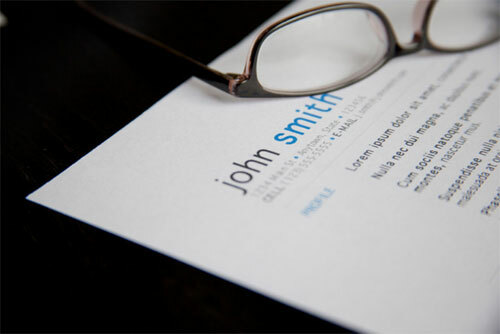 Whatever type of position you apply for, you probably don’t need reminding that your resume is a crucial factor. Once you get a foot on the ESl ladder, you could one day go on to be a senior teacher, head of department or even a principal. But it all starts with getting that first ESL job, and that requires a good resume! Does employers in China provides any accommodation and travel expenses to selected candidates?